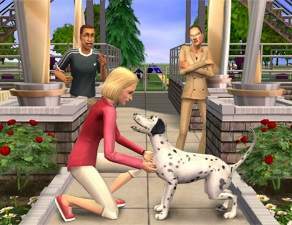 It's a 'The Sims Life Stories' neighborhood recreated for TS2; uploaded for the current monthly theme "All things retail". Despite being the wealthy CEO of Jigantor Computing Networks, Vincent Moore has never been lucky in love. While on a business trip to Sim City, Vincent has overseen the finish of JCN’s biggest project to date: The SimSat 9000 Communications Satellite. The launch was flawless, the hands have been shaken and the bonuses are in the mail. Now Vincent eagerly returns to his modest mansion in Bitville to see if he can find his one and only! However, if you don't have Pets or a later EP/SP installed, you can temporarily remove Bluewater Village (B001) from the NeighborhoodTemplate folder and move this subhood in there. It will still be referred as Bluewater Village in the game. 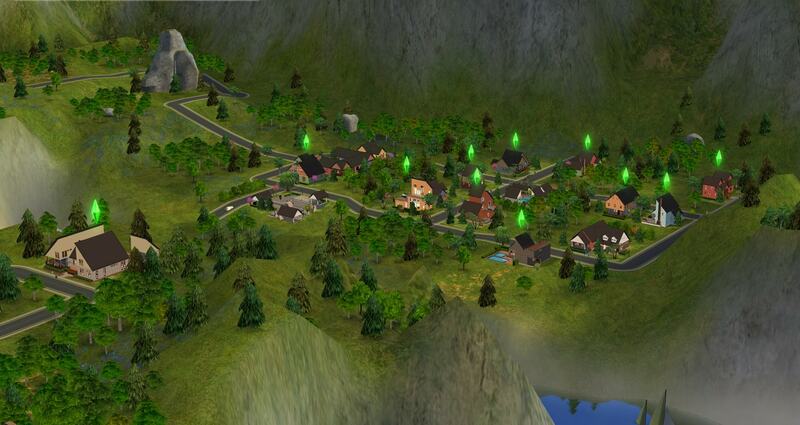 But the game will add Bitville to your neighborhood. Restore B001 after adding the subhood and you're done. Bitville is base game compatible and doesn't have any CC in it. However, the shopping district/suburb subhood requires Open For Business. 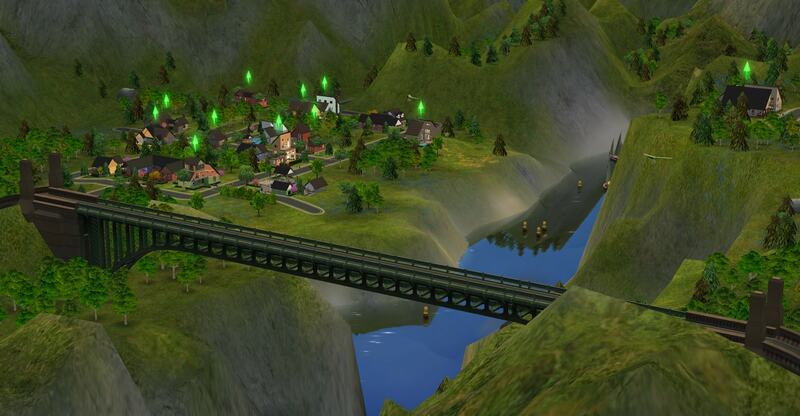 This is a ground up recreation of Vincent's Story from Life Stories game using Numenor's AnyGameStarter and Mootilda's HoodReplace to create the neighborhood with no Maxis content and to get the original look of the neighborhood with its original roads, neighborhood terrain, trees and decorations. 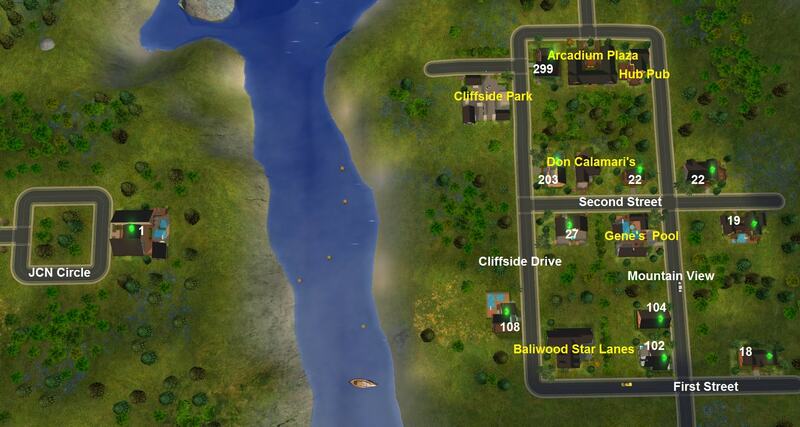 All of the Bitville lots have been recreated by marka93 and all of the playable sims of Bitville have been cloned, fixed and recreated (using fixed clones) by Jawusa. 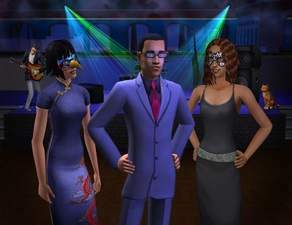 The sims' descriptions have been rewritten by Peni Griffin because EA's descriptions were related to the story in LS. Because there's no story to follow anymore, the descriptions didn't make any sense but thanks to Peni Griffin, the descriptions are useful again. Peni Griffin has incredibly good writing skills, so you won't be disappointed! There are 11 families in total. 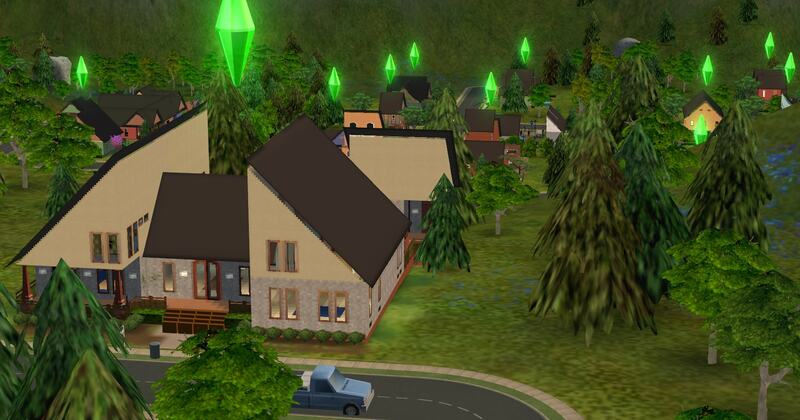 Each family consists of one sim. We recommend that you hook them all up - this will make everything easier and you will only have 7 families in total then. Bitville has 29 lots; 6 of them are community lots, the other lots are all residential lots. There are no vacant lots in the neighborhood. marka93 has tried to rebuild each house as close as possible to the original using the base game only. 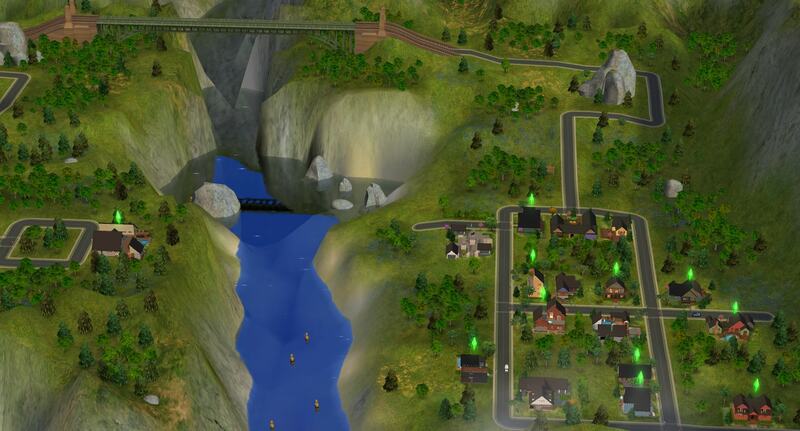 Because The Sims Life Stories is a mixture between Uni, NL and OFB, many of the Bitville lots had half walls and certain EP features (e.g. restaurants). Therefore, many of the lots, that had half walls before, don't have any because half walls are not available in the base game. Both of the subhood versions have half walls and some of the EP features, though. Look in the comments for this neighborhood to see what's missing and needs to be added. We recommend adding Bitville as a subhood to Four Corners or vice versa. Then you will have both of the LS neighborhoods, merged into one neighborhood. Mootilda for her Lot Compressor which we used to compress all of the lots in the neighborhood and for her LotAdjuster which we used on some lots as well as for her helpful HoodChecker (to see whether there are any problems or not) and for Hood Replace which we used to copy the neighborhood terrain with its roads, trees, decorations from LS into this neighborhood. Peni Griffin for rewriting the sims' descriptions. 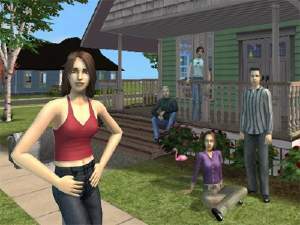 Of course, EA for The Sims Life Stories and for the original Bitville!